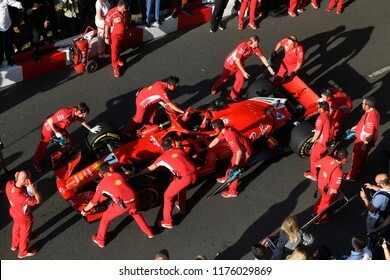 freelance photographer based in Milan with more than 20 years of experience on news photography, sport photography, documentary photography. 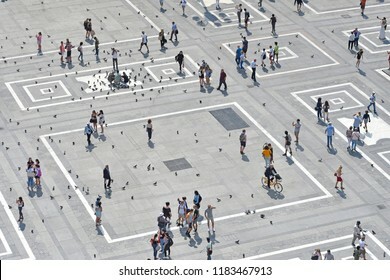 12,236 stock photos, vectors, and illustrations are available royalty-free. 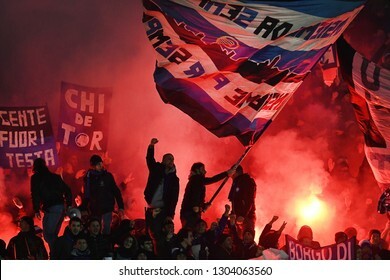 BERGAMO, ITALY-JANUARY 30, 2019: Atalanta's soccer fans cheering with red smoke bombs and waving flags, during the Italian Cup match Atalanta vs FC Juventus, in bergamo. 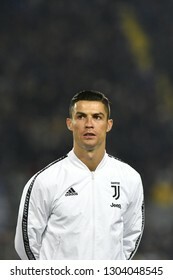 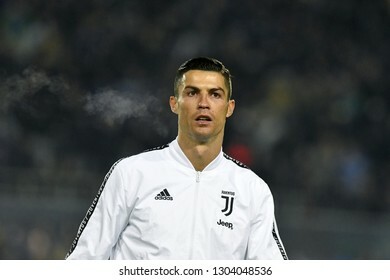 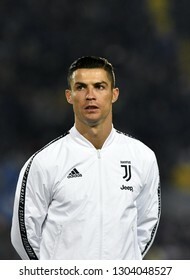 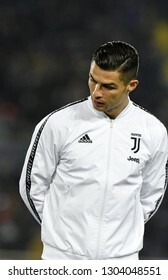 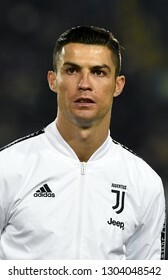 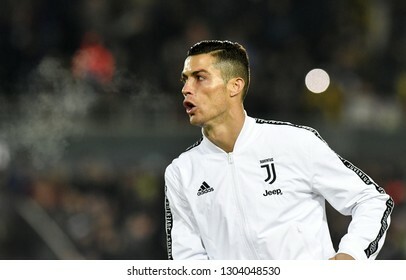 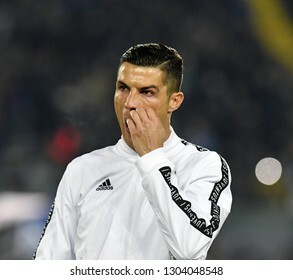 BERGAMO, ITALY-JANUARY 30, 2019: FC Juventus football star, Cristiano Ronaldo, portraited with Adidas white jacket, before the Italian Cup match Atalanta vs FC Juventus, in bergamo. 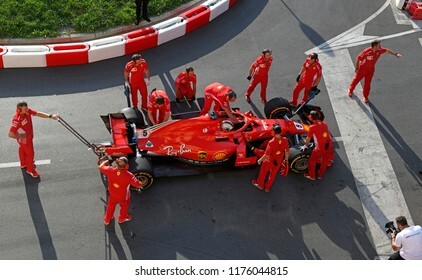 MILAN, ITALY-AUGUST 29, 2018: top view of the Ferrari Formula 1's pit stop crew, during an exhibition on a city circuit along the Darsena district, in Milan. 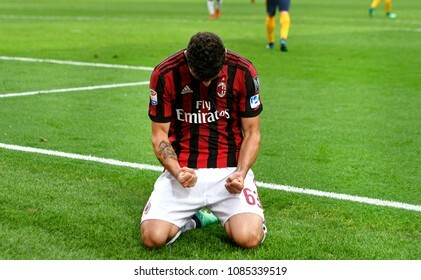 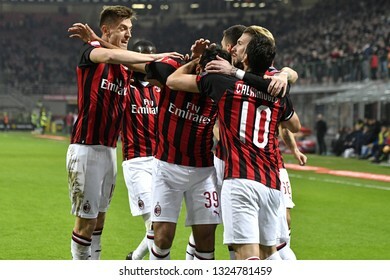 MILAN, ITALY-FEBRUARY 22, 2019: AC Milan soccer team players embrace to celebrate the win goal scored, at the san siro soccer stadium at night, in Milan. 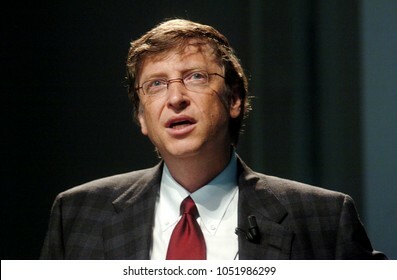 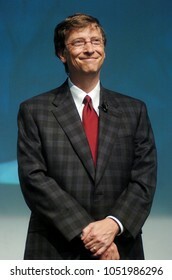 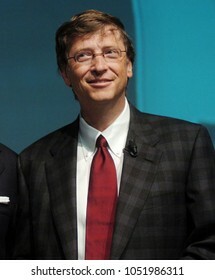 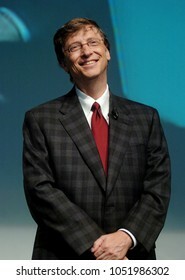 MILAN, ITALY-NOVEMBER 18, 2004: Microsoft's founder and CEO Bill Gates attends the Futur Show convention, in Milan. 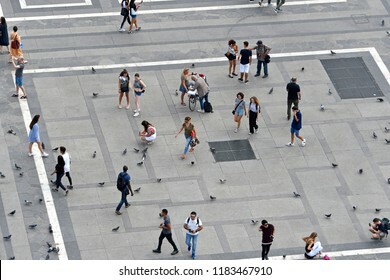 MILAN, ITALY-SEPTEMBER 06, 2018: top view of people walking on Duomo square, in Milan. 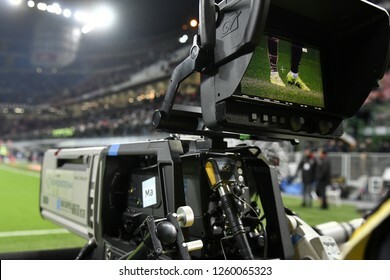 MILAN, ITALY-DECEMBER 09, 2018: tv camera man shooting live a professional soccer match, at the san siro footballa stadium, in Milan. 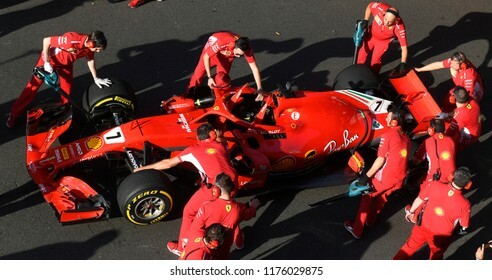 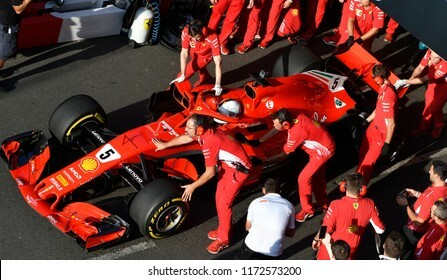 MILAN, ITALY-AUGUST 29, 2018: Ferrari's Formula 1 driver, Sebastain Vettel, assisted by the Ferrari pit stop crew, during an exhibition at the F1 Milan Festival, on the Darsena roads, in Milan. 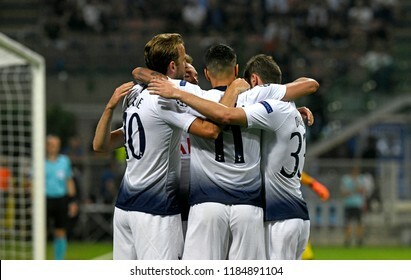 MILAN, ITALY-SEPTEMBER 29, 2018: F.C. 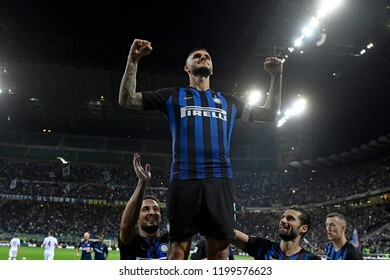 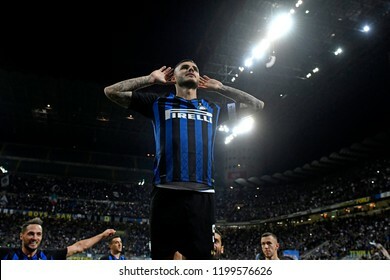 Inter Milan soccer player Mauro Icardi celebrates after score a goal, at the san siro soccer stadium , in Milan. 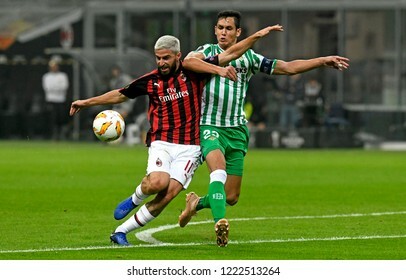 MILAN, ITALY-OCTOBER 25, 2018: soccer players action during UEFA League match AC Milan vs Real Betis at the san siro soccer stadium, in Milan. 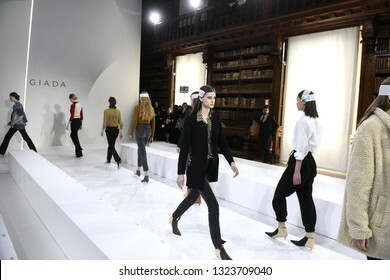 MILAN, ITALY-FEBRUARY 21, 2019: female models catwalk, during the Giada's fall/winter fashion show, inside the Braidense library of the Brera's Pinacoteca, in Milan. 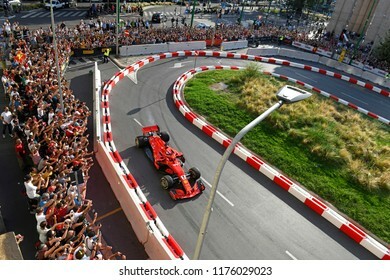 MILAN, ITALY-AUGUST 29, 2018: top view Ferrari Formula 1's driver, Sebastian Vettel, during an exhibition on a city circuit, during the Milan F1 Festival, in Milan. 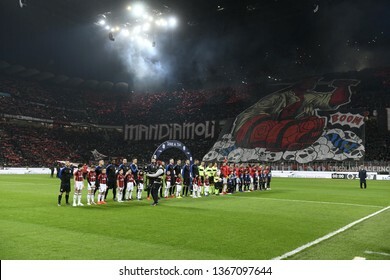 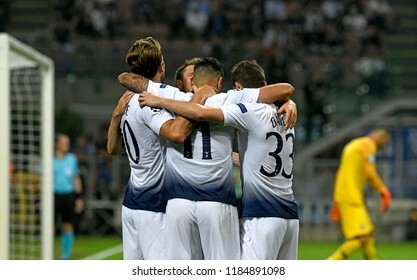 MILAN, ITALY-MARCH 17, 2019: soccer teams enter at the san siro stadium during the italian Serie A soccer match AC Milan vs Inter Milan, in Milan. 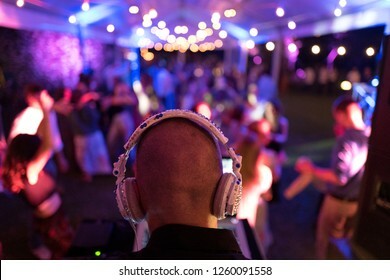 COMO, ITALY, JUNE 01, 2018: deejay's head back view, on an house garden's night party, with blurry people dancing in the background, in Como. 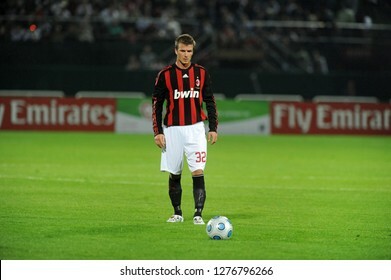 DUBAI, UNITED ARAB EMIRATES-JANUARY 05, 2008: AC Milan's english star David beckham signs autographs the AC Milan training camp, in Dubai. 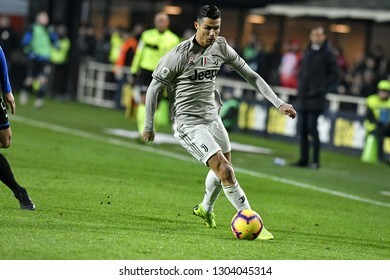 MILAN, ITALY-NOVEMBER 11, 2018: FC Juventus's portoguese soccer player Cristiano Ronaldo in action at the san siro soccer stadium before the italian match AC Milan vs Juventus FC, in Milan. 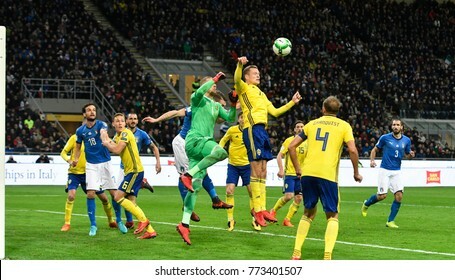 MILAN, ITALY-NOVEMBER 13, 2017: world cup 2018 european qualifiers soccer match Italy vs Sweden, at san siro stadium, in Milan. 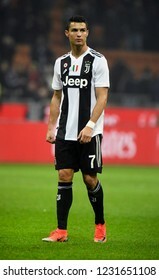 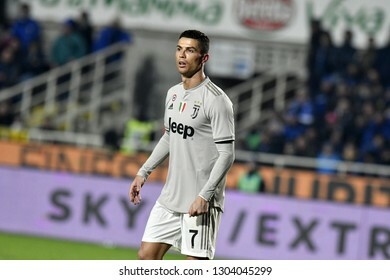 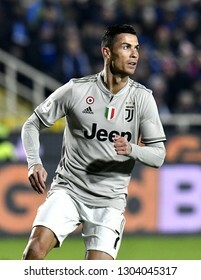 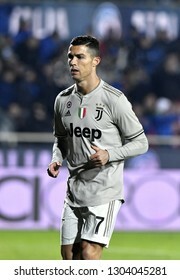 BERGAMO, ITALY-JANUARY 30, 2019: FC Juventus football star, Cristiano Ronaldo, in action during the Italian Cup match Atalanta vs FC Juventus, in bergamo. 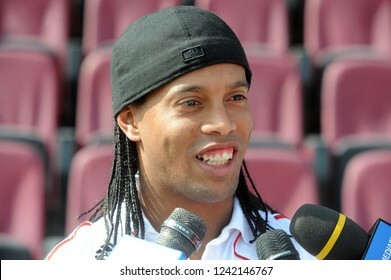 DUBAI, UNITED ARAB EMIRATES: JANUARY 03, 2008: AC Milan's brazilian football player Ronaldinho gives an interview to journalists, at the Al Nasr soccer stadium, in Dubai. 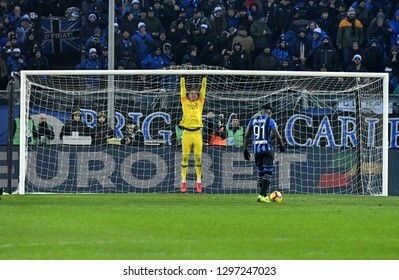 BERGAMO, ITALY-JANUARY 27, 2019: AS Roma goalkeeper ready for a penalty kick during the italian match Atalanta vs AS Roma, in Bergamo. 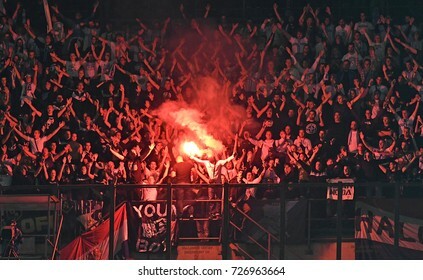 MILAN, ITALY-SEPTEMBER 28, 2017: hooligans soccer fans lighting fire flares during the UEFA League match AC Milan vs Rijeka, at san siro stadium, in Milan. 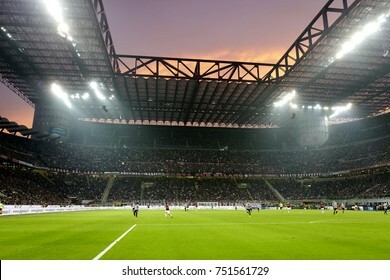 MILAN, ITALY-OCTOBER 28, 2017: panoramic view with sunset over the san siro soccer stadium, during the italian serie a match AC Milan vs FC Juventus, in Milan. 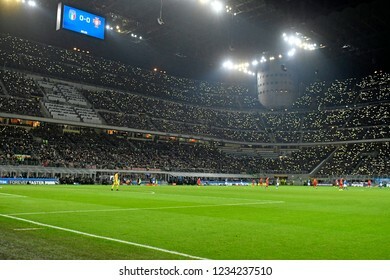 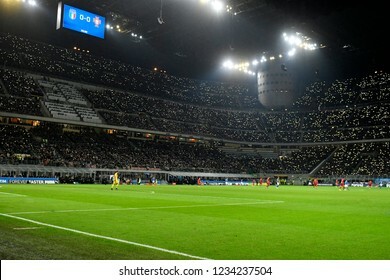 MILAN, ITALY-NOVEMBER 17, 2018: stadium football fans cheer on and light phone lights, at the san siro soccer stadium, during the match Italy vs Portugal, in Milan. 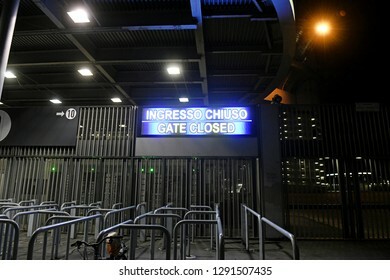 MILAN, ITALY-JANUARY 19, 2018: entrance gate closed of the san siro stadium at night, in Milan. 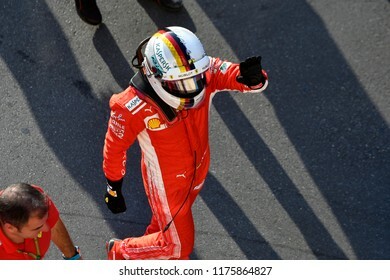 MILANO, ITALY-AUGUST 29, 2018: Ferrari's Formula 1 driver, Sebastian Vettel, wearing the safety helmet, during the F1 Milan Festival, 2018, in Milan. 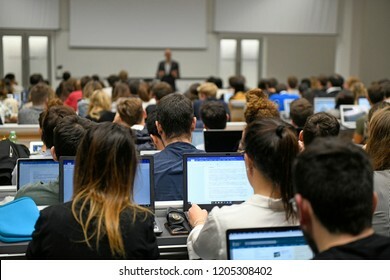 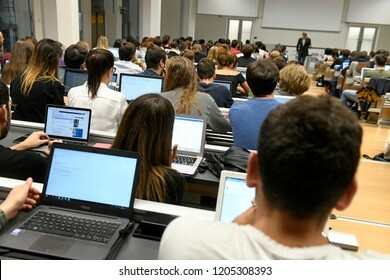 MILAN, ITALY-OCTOBER 01, 2018: students attend a University lecture on a conference room, in Milan. 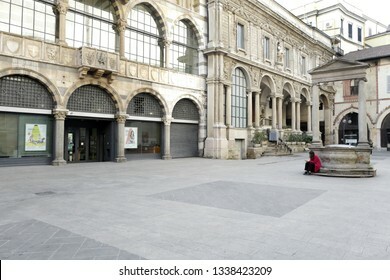 MILAN, ITALY-MARCH 01, 2019: hisrorical Mercanti square , in Milan. 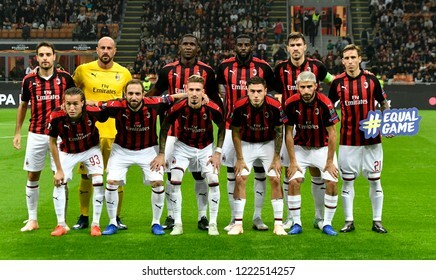 MILAN, ITALY-OCTOBER 25, 2018: AC Milan soccer players team photo during UEFA League match AC Milan vs Real Betis at the san siro soccer stadium, in Milan. 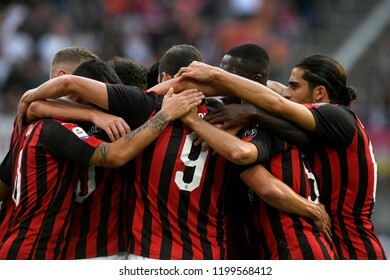 MILAN, ITALY-OCTOBER 07, 2018: AC Milan soccer players embrace to celebrate the win during the italian league, in Milan. 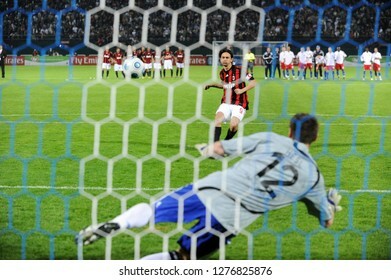 DUBAI, UNITED ARAB EMIRATES-JANUARY 06, 2008: AC Milan's italian player Filippo Inzaghi, scores a penalty kick, during thesoccer match, AC Milan vs Hamburg, in Dubai. 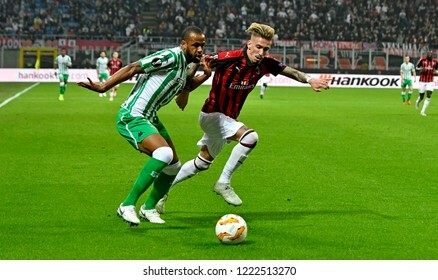 DUBAI, UNITED ARAB EMIRATES-JANUARY 06, 2008: AC Milan's english star David Beckham in action duirng the soccer match AC Milan vs Hamburg, in Dubai. 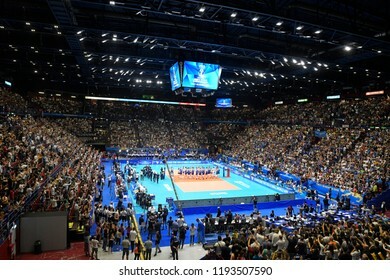 MILAN, ITALY-SEPTEMBER 21, 2018: panoramic top view of the indoor sports arena Forum, during the Volleyball Men's World Championship, in Milan. 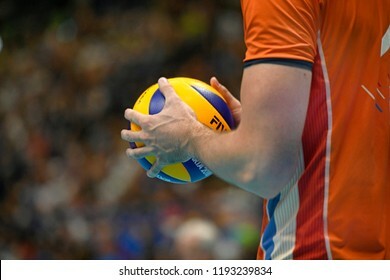 MILAN, ITALY-SEPTEMBER 24, 2018: close up Volleyball player hands holding the ball, during the Volleyball Men's World Championship Italy and Bulgaria 2018, Italy vs Netherlands, in Milan. 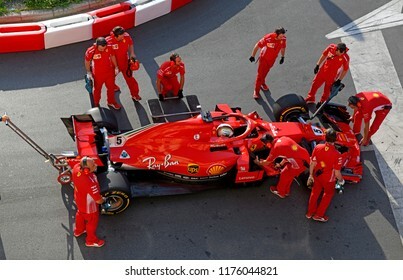 MILAN, ITALY-AUGUST 29, 2018: top panoramic view of the Ferrari Formula 1 car, during an exhibition on a city circuit along the Darsena district, in Milan. 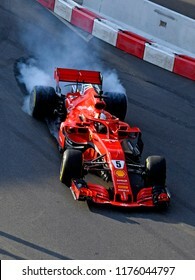 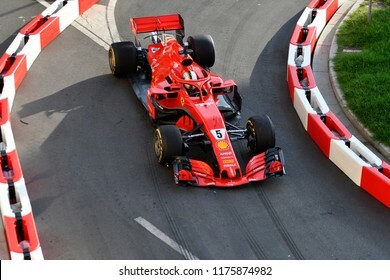 MILANO, ITALY-AUGUST 29, 2018: top view Ferrari's Formula 1 driver, Sebastian Vettel, driving on the city circuit, during the F1 Milan Festival, 2018, in Milan. 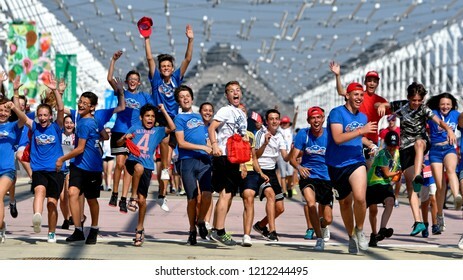 MILAN, ITALY-JULY 01, 2018: young boys and girls run and jump to celebrate at the end of a sports summer camp, in Milan. 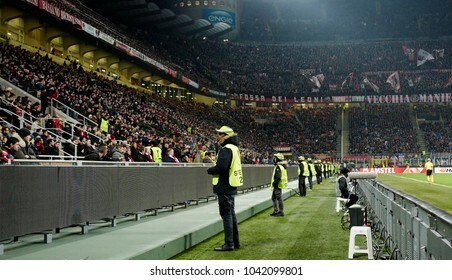 MILAN, ITALY-MARCH 08, 2018: security steward staff at the San Siro soccer stadium at night, during the UEFA League match AC Milan vs Arsenal, in Milan. 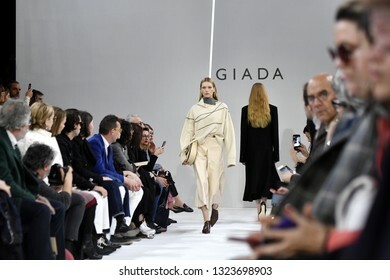 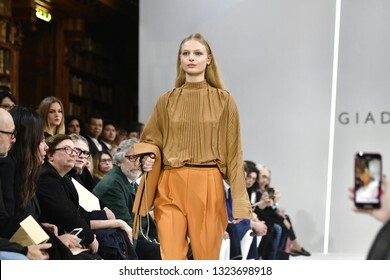 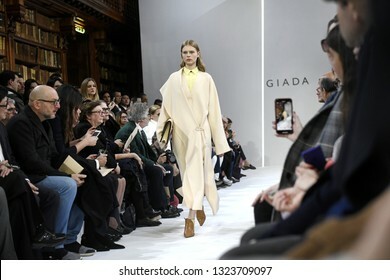 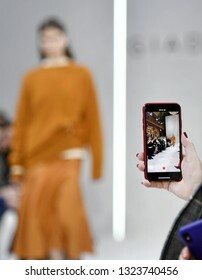 MILAN, ITALY-FEBRUARY 21, 2019: smartphone recording the female models catwalk during the Giada's fall/winter fashion show, inside the Braidense Library of the Brera's Pinacoteca, in Milan. 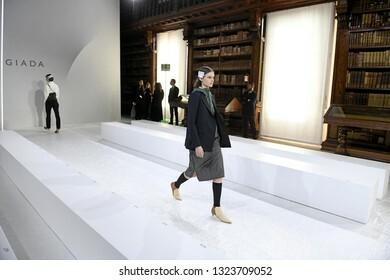 MILAN, ITALY-FEBRUARY 21, 2019: female models catwalk during the Giada's fall/winter fashion show, inside the Braidense Library of the Brera's Pinacoteca, in Milan. 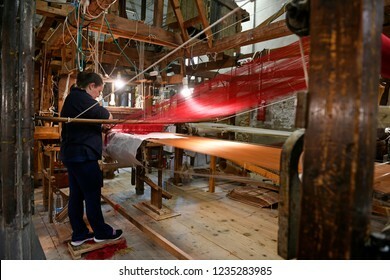 VENICE-ITALY-OCTOBER 18, 2018: traditional Bevilacqua weavers workshop, handycraft women work on more than 200 years old wooden loom weavings, producing luxury textiles, in Venice. 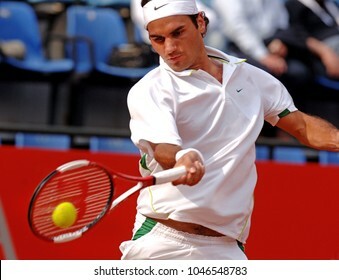 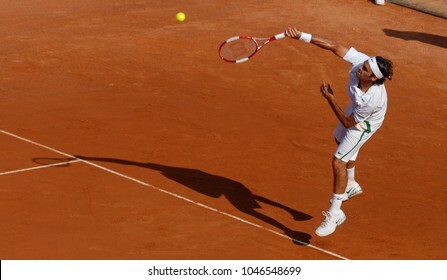 ROME, MAY 09, 2006: Swiss famous tennis player Roger Federer in action at the Italian tournament "Internazionali d'Italia", in Rome. 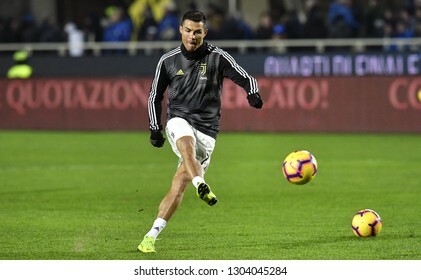 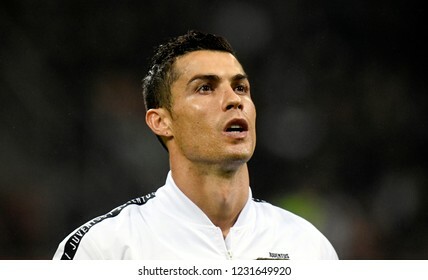 MILAN, ITALY-NOVEMBER 11, 2018: FC Juventus's portoguese soccer player Cristiano Ronaldo portraited at the san siro soccer stadium before the italian match AC Milan vs Juventus FC, in Milan. 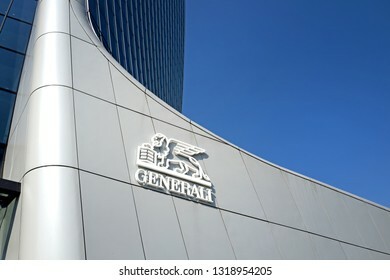 MILAN, ITALY-FEBRUARY 19, 2019: modern architecural skyscraper entrance with logo of Generali Insurance Company, in Milan. 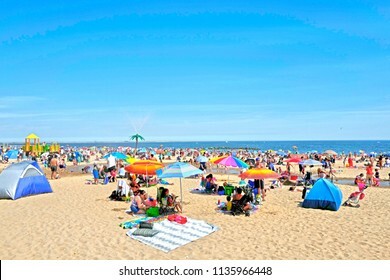 NEW YORK, UNITED STATES-JUNE 18, 2018: sun umbrellas at Coney Island beach, during an hot summer's sunday afternoon, in New York. 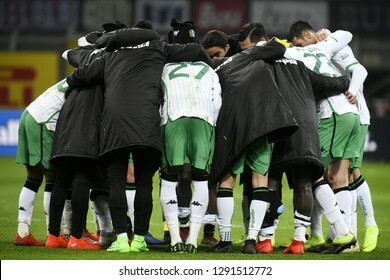 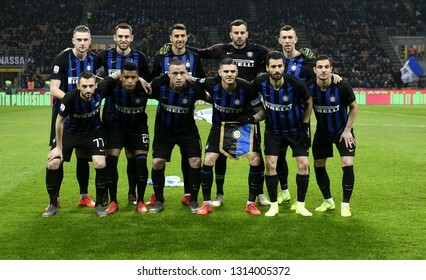 MILAN, ITALY-FEBRUARY 03, 2019: Inter Milan soccer team photo during the italian league match Inter Milan vs Bologna, in Milan. 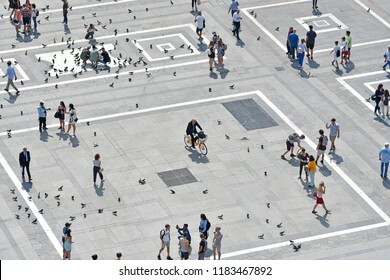 MILAN, ITALY-MAY 18, 2018: panoramic view of the new Darsena harbour of the Navigli canal district, in Milan. 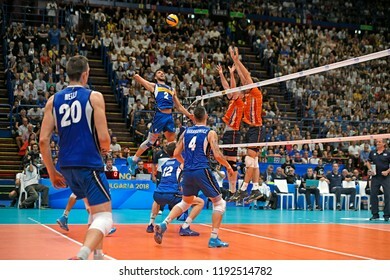 MILAN, ITALY-SEPTEMBER 24, 2018: Volleyball Men's World Championship Italy and Bulgaria 2018, Italy vs Netherlands, at the Forum indoor arena, in Milan. 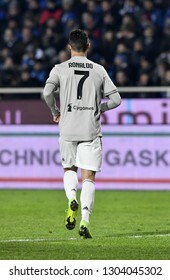 BERGAMO, ITALY-JANUARY 30, 2019: FC Juventus football star, Cristiano Ronaldo, shoe up during the Italian Cup match Atalanta vs FC Juventus, in bergamo. 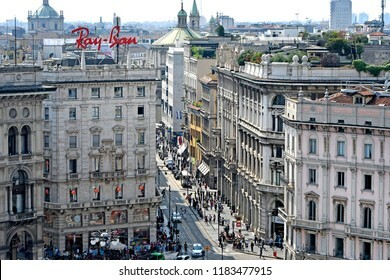 MILAN, ITALY-SEPTEMBER 06, 2018: top view of Torino street and Duomo square, in Milan. 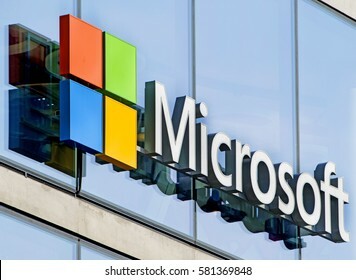 MILAN, ITALY-FEBRUARY 14, 2017: Microsoft logo company on the window facade of the new Microsoft headquarter, in Milan. 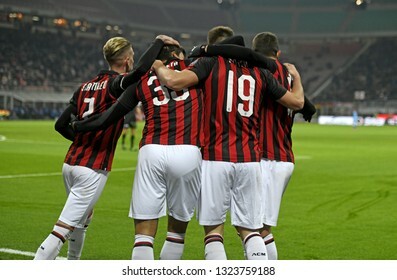 DUBAI, UNITED ARAB EMIRATES: JANUARY 04, 2008: AC Milan's soccer players Ronaldinho and Paolo Maldini during a training session fo the AC Milan training camp, at the Al Nasr stadium, in Dubai. 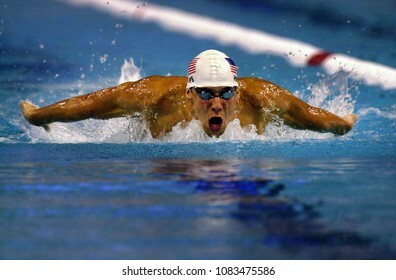 BARCELONA, SPAIN- SEPTEMBER 07, 1999: award Olympic golden medals winner Michael Phelps of US swimming during the World Championship, in Barcelona. 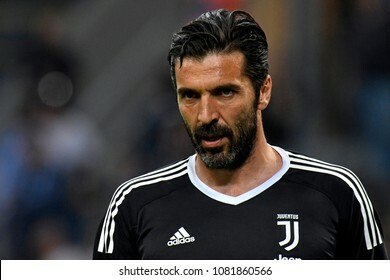 MILAN, ITALY-APRIL 28, 2018: FC Juventus goalkeeper Gianluigi Buffon in action during the italian serie A match Inter Milan vs FC Juventus, at the san siro soccer stadium, in Milan. 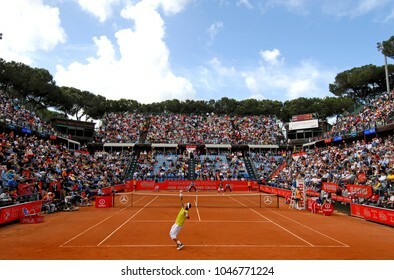 ROME, ITALY-JANUARY 29, 2005: panoramic view of red tennis court's surface at the International ATP tournament "Internazionali d'Italia", in Rome. 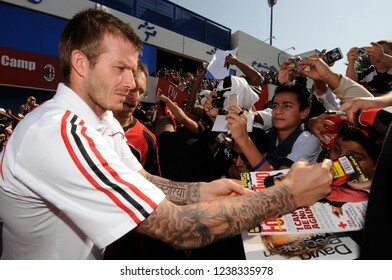 UNITED ARAB EMIRATES: JANUARY 02, 2008: David Beckham signs autograph to young AC Milan's fans, outside the Al Maktoom soccer stadium, in Dubai. 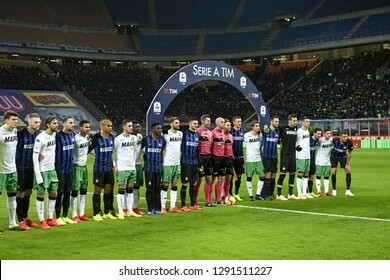 MILAN, ITALY-JANUARY 19, 2018: soccer players embrace at the end the italian match Inter Milan vs Sassuolo, at the san siro stadium at night, in Milan. 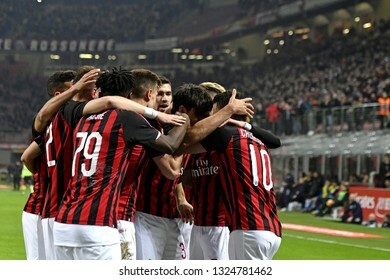 MILAN, ITALY-JANUARY 19, 2018: soccer players embrace during the italian match Inter Milan vs Sassuolo, at the san siro stadium at night, in Milan. 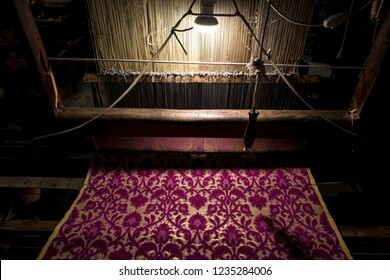 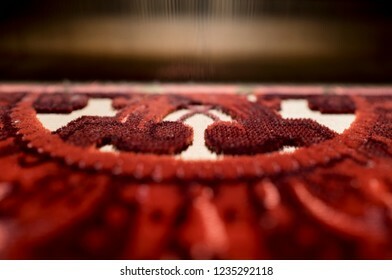 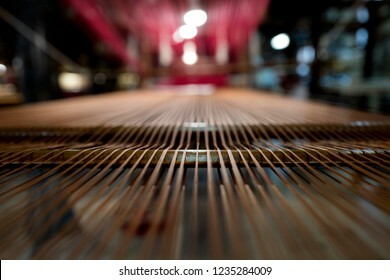 VENICE-ITALY-OCTOBER 18, 2018: close up of luxury textiles looming, at the traditional Bevilacqua weavers workshop, in Venice. 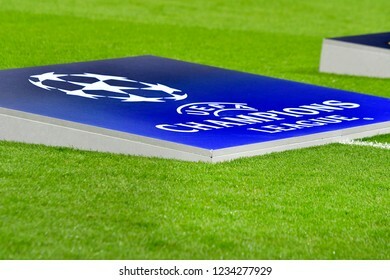 MILAN, ITALY-NOVEMBER 06, 2018: UEFA Champions League's logo on the san siro soccer stadium's grass field, in Milan. 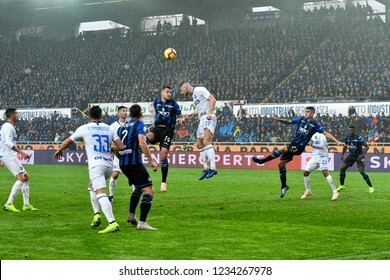 BERGAMO, ITALY-NOVEMBER 11, 2018: football players action at the italian soccer stadium, Atleti Azzurri d'Italia, during the italian match Atalanta vs Inter Milan. 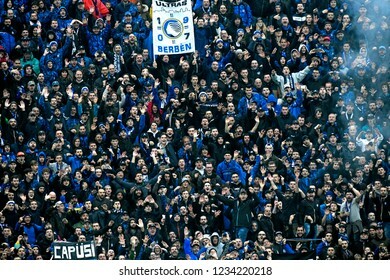 in Bergamo. 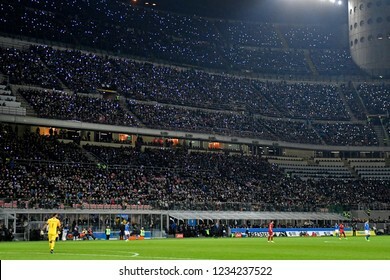 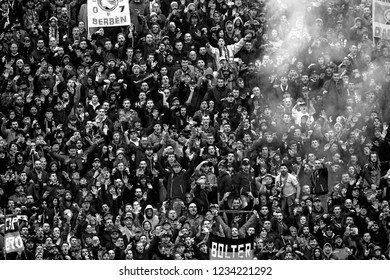 BERGAMO, ITALY-NOVEMBER 11, 2018: football fans crowd cheer on and light smoke bombs at the italian soccer stadium, Atleti Azzurri d'Italia, in Bergamo.